ISIS is breaking all of them. It will live to regret it. 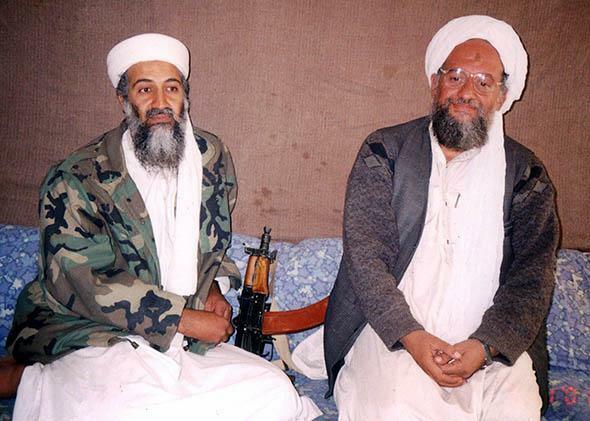 For years, Osama Bin Laden and his lieutenants, like adviser Ayman al-Zawahiri, right, tried to explain to their affiliates the folly of unchecked brutality. ISIS isn’t getting it. The Islamic State in Iraq and Syria is scaring the hell out of everyone. It has infested Syria, overrun Iraq, alarmed Iran, and convinced U.S. politicians it’s the most dangerous terrorist organization ever. But frightening everyone isn’t a long-term growth strategy. ISIS is destroying itself. Al-Qaida, the organization from which ISIS recently split, understands this truth. For years, Osama Bin Laden and his lieutenants tried to explain to their affiliates the folly of unchecked brutality. In letters and directives captured in the 2011 raid on his compound, Bin Laden stressed the importance of patience, discretion, and public opinion. His advice, boiled down to seven rules, forms a clear outline of ISIS’s mistakes. As for the local enemy, such as if the Yemenis were to begin a long battle against the security services, this is a matter that will weigh on the people. As time goes by, they will begin to feel that some of them have been killed and they will start to want to stop the fighting. This would promote the ideology of secular governments that raise the motto of pleasing all sides. ISIS rejects this rule. It calls itself a state. It measures its progress in territory. It’s trying to control as many as 40,000 square miles with an estimated 10,000 fighters. Meanwhile, the parties that have won seats in the new Iraqi parliament are scrambling to form a government that can appease all sides and pacify the country, just as Bin Laden anticipated. ISIS advertises its savagery. It chops off people’s heads. It vows to kill every Shiite. It posts videos in which captives are shot dead and moving cars are machine-gunned. A week ago, ISIS uploaded photos purporting to show its fighters executing 1,700 captured Iraqi soldiers. “The filthy Shiites are killed in the hundreds,” said one caption. “The liquidation of the Shiites who ran away from their military bases,” said another. “This is the destiny of Maliki’s Shiites,” said a third. “Look at them walking to death on their own feet,” said a fourth. It’s hard to imagine propaganda better designed to repulse the public and galvanize the enemy. The issue of providing for basic needs is a matter that must be taken into consideration before taking control of nations or cities. If a controlling force, that enjoys the support of the majority where it has taken control, fails to provide for the basic needs of the people, it will lose their support and will find itself in a difficult position that will grow increasingly difficult with each passing day. People will not bear seeing their children die as a consequence of a lack of food or medicine. Many Iraqis joined the mujahidin against the Americans until some mistakes happened when some of al-Anbar tribe’s children were attacked without a reason of self-defense (they were not a threat to the mujahidin), but they were registering in the security force compound. This attack resulted in the tribe working against the mujahidin. The lesson is lost on ISIS. It refused to cooperate with al-Qaida’s Syrian affiliate, the Nusra Front. It attacks other Syrian rebels. On June 8, ISIS bombed Kurdish offices in Iraq. On June 22, it destroyed the homes of members of a Baathist organization that has been crucial to ISIS’s success in Iraq. It also killed family members of a leader of another Iraqi Islamic militant group. Now some of the Baathists are fighting ISIS, and Kurdish militiamen are helping the Iraqi Army recapture towns. Now the Syrian military, which had previously steered clear of ISIS, is bombing ISIS militants in Iraq. Thousands of Shiites are signing up to reinforce the Iraqi Army. The United States and Iran—sworn enemies for decades—are exploring a limited partnership to stymie ISIS’s advance. Political factions are trying to organize a multiethnic government in Baghdad. The Turkish government is almost certainly drawing up plans to strike back. ISIS is creating a war between itself on one side, and every Iraqi constituency and adjoining country on the other. That’s not chaos. It’s unity. We’ve been here before. Eight years ago, jihadists in Iraq made the same mistakes. They alienated the public and were driven out by tribes that had fought alongside them. They’ve returned as ISIS only because Iraq’s government persecuted Sunnis and ignored the tribes. Now the jihadists are back to doing what they do best: destroying lives, communities, and themselves.